Level 4 Funding is proud to announce Dennis Dahlberg has completed the education needed to become a mortgage broker and can now help individuals seeking trust deed investing for their property. 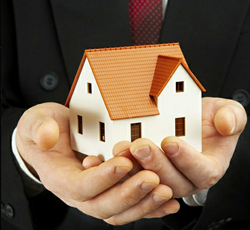 Level 4 Funding is now equipped to handle trust deed investing. Level 4 Funding is proud to announce Dennis Dahlberg has completed the education needed to become a mortgage broker and can now help individuals seeking trust deed investing for their property. The addition of a mortgage broker to Level 4 Funding is exciting news as there is a rigorous process one must go through in order to become a mortgage broker and not many people complete it. Dennis Dahlberg was the only one in the educational classes he took towards becoming a mortgage broker to actually pass the required state test. “It’s a very time consuming process,” he admits, “But I finally completed it.” Dahlberg is now excited to get to work and start helping clients with their trust deed investing, the much sought after sensibly short term loans secured by real estate and procured by mortgage brokers such as Dahlberg. Level 4 Funding brings together licensed real estate agent Dennis Dahlberg and his extensive 40 years of experience in residential real estate and Arizona Licensed Real Estate Agent, Mark Gowlovech, who, as a recruiter, was responsible for $600,000 in annual sales. For more information on what Level 4 Funding can do for you and your real estate goals, go to http://www.level4funding.com/ or call 623-582-4444.